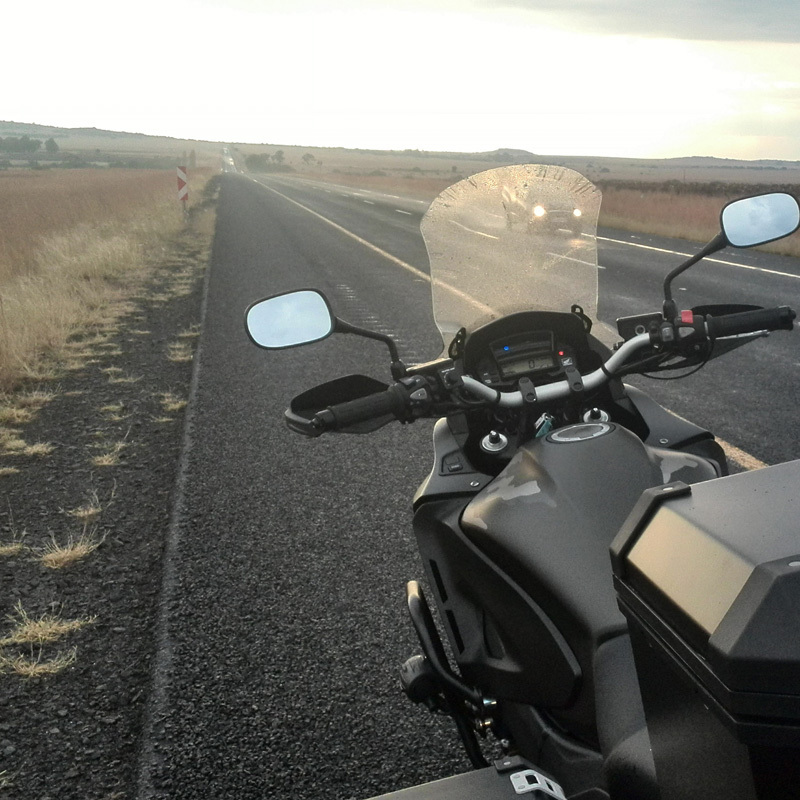 Plan for the Long Haul - Motorcycle Safety Institute of S.A.
Know your limits and plan your trip around them. If the longest ride you have ever taken is 500 kilometres in a day, don’t plan a trip with a string of endless five- hundred kilometre days. Our surveys also warn of an important trend in long distance trip planning. Discounting weather or other problems after an initial mileage peak on days one and two, daily average mileage will steadily drop during trip days three to seven. On day seven of a trip, the typical long distance rider will comfortably ride about 65% of the average daily mileage that they would book on a two day trip. If the pros have this type of mileage attrition rate, would you plan on any less? Also include large easy-to-cut loops into your trip plan. If you do get behind schedule, this is the easiest way to skip part of your trip without ruining the rest of it. Whether you are capable of riding 500 kilometres per day, or 1600, the ability to make K’s tends to decrease as the length of the trip increases. The most severe loss is in days 3 through 7, where Lam-Gat types then level out to about 65% of their peak capacity. Forget what you’ve been told; high speeds and long-distance riding have little in common. A steady rider can book more K’s, enjoy more mountain views and ride more twisty roads than a road carver bent on making the best times across a mountain pass. 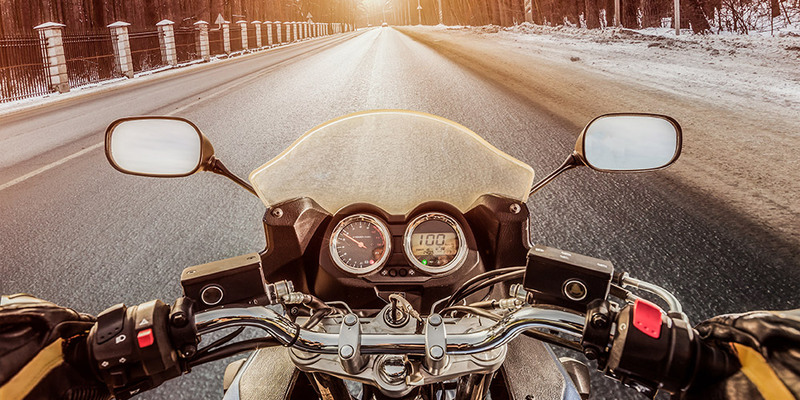 Besides the obvious effects on fuel mileage, which means more time wasted looking for fuel, and the fatigue caused by fighting the effects of pushing a motorcycle through the wind, riding much beyond the flow of traffic will land you a hefty speeding ticket. While you are on the side of the road having a spirited discussion with a Traffic Officer about your riding style, the turtle-like rider on the Honda 250 will wave as he sets himself up for the next set of corners. Leave your drugs and coffee supply at home. It’s this simple, drugs and other stimulants do not work! If you need supplements or other drugs to stay alert and that includes coffee and sodas, it’s time to stop for the day and get some serious rest. Prepare your motorcycle before the trip. With vacation time in short supply, why would you waste time during a trip to have your tyres replaced? It is often cheaper to replace tyres and chains at home rather than squeezing the few remaining K’s from them to only find that they are not available. Additionally, quality motorcycle oils can go the distance. It is not unheard of Long-Ride types grinding away 10000 or more K’s between oil changes; running hours between oil changes and work load means more than K’s. A motorcycle ridden around town will need more frequent changes than one used on a long trip. Avoid adding accessories or doing maintenance immediately before a trip. If it can be avoided, don’t use a trip as a test bed for a new exciting accessory. This is particularly true for electrical system failures. It’s asking for trouble to install new auxiliary lights or perform other mission-critical electrical modifications right before a rally. This leaves no time to thoroughly exercise the system for proper behaviour before having to depend on them during a long night ride. And don’t forget, even the best mechanic can make a mistake. Try and avoid picking up your motorcycle and heading out directly on a long trip. A trip is also not the best time to try out that new rain suit, helmet or packing technique! Even on the warmest summer nights, after a few days of 32 degree temperatures, an 18 degree evening ride can send a chill through your body. Add in a cool, wet day and the benefits of a thermal vest mean that no serious rider would leave home without it. Pack wisely; keep personal supplies handy. While many riders use a tank bag, what they pack in them is not always well thought out. If these items are not on-hand when you need them, you won’t use them. That can lead to costly mistakes like missing a road because you didn’t want to find your map or roasting your face and then facing painful sun burn for days into a trip (ever try wearing a helmet over a sun-burnt head? – do it once and you will never forget to pack the sun screen where it is handy). On the other hand, things like registration and insurance papers should be kept in a secure water tight area of the motorcycle. Assuming you probably will only need these items while talking to the Law, having them stowed away gives you time to talk to the officer and convince him you are human and not some crazed-biker – that could work to your advantage. A few small items to pack. Lip Ice: Your lips will feel parched in no time, keep them lubed. Eye Drops: Wind entering your helmet will make your eyes feel scratchy, keep them hydrated. Kidney Belt: Your lower back will take a hammering on a long trip, you’ll feel it the next morning. Cotton Tube Scarf: Keep hot or cold air off your neck, this is where dehydration starts. Wipe It: Tablet-like cloth that expands in water, to wipe your face, hands or helmet visor. Be ready before you leave, don’t waste time shopping on the road. 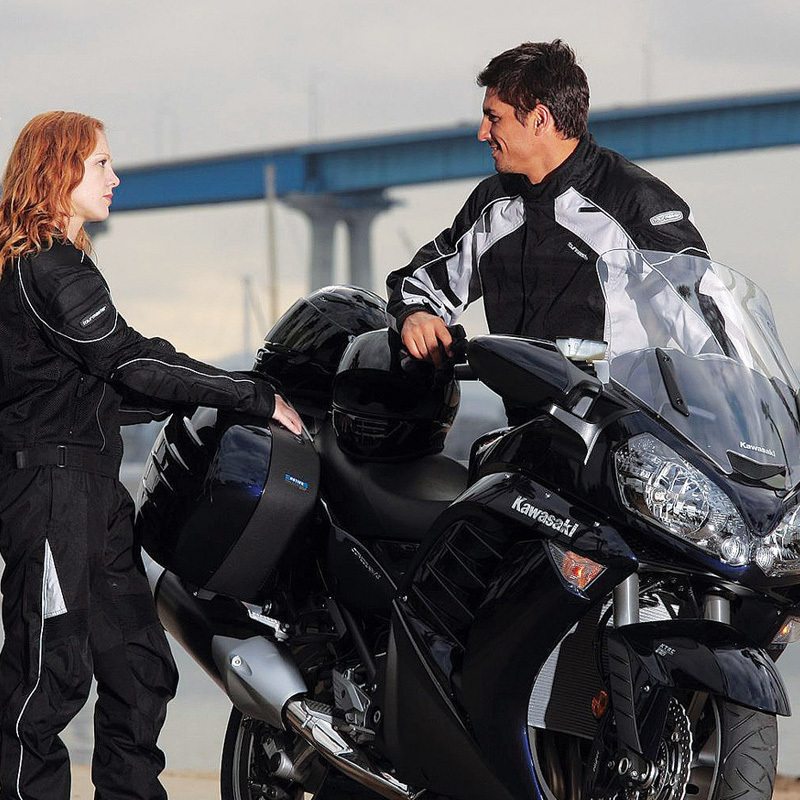 The same rules that apply to your motorcycle should apply to your riding gear and essentials. Maintain a check-list of items to carry and then check it before you leave. Buying toothpaste at a 1-Stop is no big deal, but having to shop around for a sweater or swimsuit or specialty medicines that you left at home can eat up valuable riding or rest time. Learn how to avoid boredom. Long rides usually mean riding across areas you might not consider prime riding spots. To some riders, the road across the Kalahari is a beautiful ride. To a road carver, it can be a long, hot, boring, dull highway to hell. For times like this, carrying an MP3 player with your favourite music can prove invaluable. Some of the other tricks of the trade are to stock your tank bag with a supply of candies that you can munch on while riding. A “sour worm” will shock your senses and keep you going another 40 km’s! Break downs happen and there is nothing like being stuck with no one to turn to for help. Some insurance companies and auto clubs like the AA have plans that will get you out of trouble. This is not a matter of just money (the cost of the plan versus the risk of the cost of a later tow), these clubs have contracted with tow companies all over S.A. Skip the insurance and you can spend hours burning up the phone looking for a tow company. Pay a little now or pay a lot later in the form of money and wasted trip time. Learn to Stop to go Faster. On the surface this tip may not make sense, but the successful long distance rider uses this strategy to their advantage. Since each rider is different, no one can predict a comfortable speed average for every rider. What is important is to know what speed your internal riding clock runs by and when your speed falls below that average, take time out and get some serious rest. Wasting time on coffee stops or milling about fuel stations could be better spent in a comfortable room sleeping or even better, taking a walk to stretch tired and sore muscles and get some oxygen pumping back into your brain. As soon as you are tempted to close an eye, even “for just a second”, find the nearest safe place to pull over and take nap! Inability to maintain a desired speed. If you find yourself slowing down and constantly having to speed back up, you are ready to fall asleep! Forgetting to turn high beams down for oncoming traffic. Can’t decide to stop for fuel or continue? Can’t decide what turn to take? These are all a result of fatigue. Maintain a good mental attitude. If you really hate rain, you just may be better off taking a time-out and hold-up in a Lodge or Guesthouse for a few hours. The same goes for excessive heat (if possible, try riding at night) or a host of other conditions that can put you in such a bad mental state that riding is no longer fun (if you are concentrating on being miserable, you are not concentrating on the road). Yes, answering to your boss why you are a day or two late can cause some stress, but at least you might make it safely home! In the mornings stick to oatmeal, cereals or one egg with toast (no butter please!). 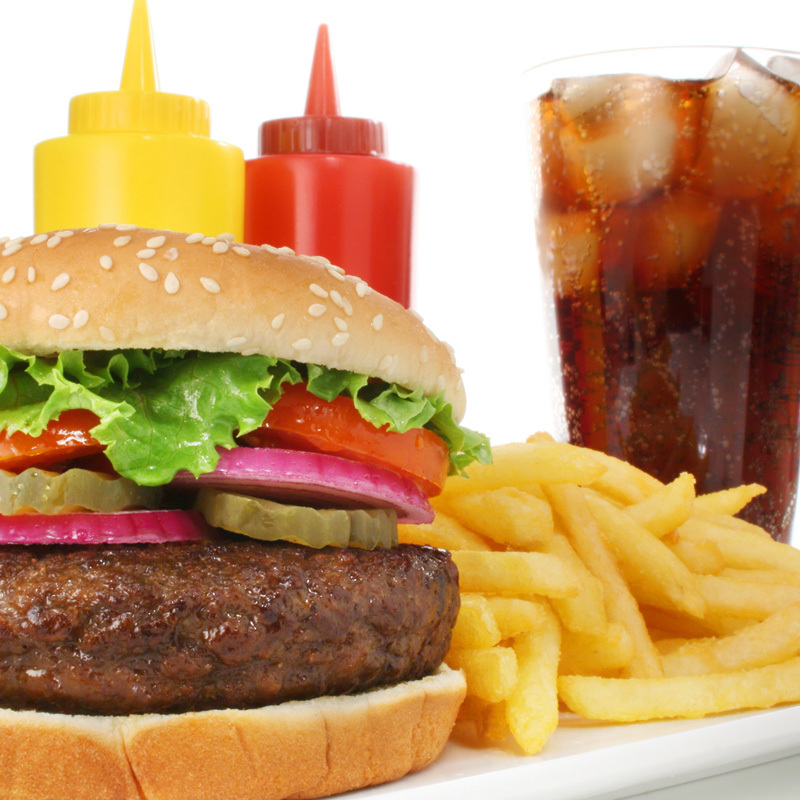 Lunch should be skipped in favour of a light, healthful snack. Dinner should include a salad with light pasta. If all else fails, our motto is, “If you can’t eat right at least try and eat light!” Consider having a freshly made sandwich instead of that grease-dripping burger! Eat at the right times of the day. On weekdays, eating breakfast after 9 am is usually the best time to beat the working stiffs not lucky enough to be out on a ride. The opposite is true on weekends, when people tend to sleep in and crowd restaurants later in the morning. Dinner is best eaten early (remember, we skipped lunch) to beat the dinner crowd. Additionally, eating after dark with a long ride ahead is a bad idea – it will put you to sleep. Whenever we speak of eating out, the subject of time management always comes up. Specifically, how can the long distance rider afford to waste time sitting around while a restaurant cooks their meal? Here is a time proven method that works: After you enter the restaurant and get a seat (if the restaurant is crowded, try the counter for faster service) explain to your waitress that you are in a hurry. In extreme cases, we recommend giving her a generous tip up front and quickly give her your order, ask her to leave the bill with the meal and explain that you will be back shortly. This is now your free time to take care of important business. Although riders differ in technique, most will go to the bathroom and wash up (even if you are not “dirty”, washing your face with warm water is a refreshing experience) and reapply sun screen or skin lotion. If you have phone calls to make, quickly make them now. In most cases, your meal will be sitting for you ready to eat. With this technique, meal stops can be cut to a reasonable twenty to thirty minute window – that may sound fast for a full meal, but when handled properly with good time management, you will have a relaxing hot, meal while your fellow riders are choking down a cold sandwich standing around a fuel station. Separate fuel stops from food stops. After getting fuel (a mini rest-stop in itself), it takes just as long to suit-up to ride across the street to eat as it does to ride 40 km down the road and then eat. The result is two mini rest-stops for the price of one. Get fuel before you need it. You only have to run out of fuel one time, or take a 10 km detour in search of fuel to blow the time you saved by not stopping. When fuel is handy, stop and get it! That having been said, keep in mind that fuel stops can be a major time-sink if not managed properly. While wasting 5 minutes loitering at the fuel pump might not be to detrimental on multi-day events, it can be devastating on 24-hour rides, where maintaining a certain minimum average speed is critical. And have cash handy, in case no Card Facilities are available. Put on your rain suit before it rains! 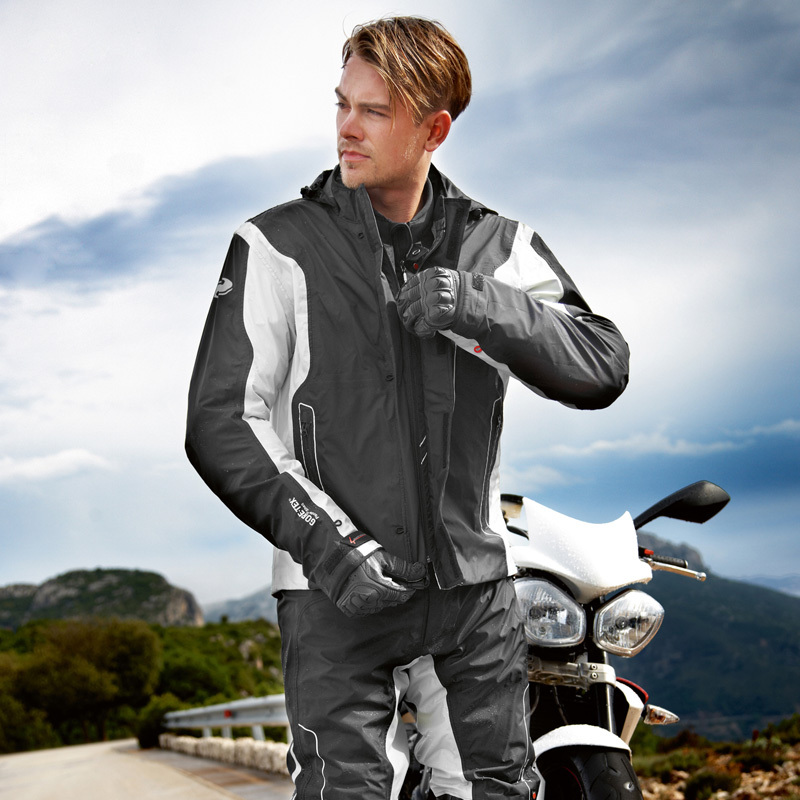 If you have less than a half tank of fuel, why not stop, fill-up and put on your suit all in one, quick, safe stop? Whether you take the fill-up advice or not, we strongly recommend you avoid putting your rain suit on alongside the road. The dangers are too numerous to outline, but think about this when planning to dodge the rain under an overpass; do you really want to be standing just three feet (or about an arm’s length) from traffic zooming by at 100 km/h and up? And if it is raining, do you want to be standing that close to drivers half-blinded by the rain themselves? And keep in mind that some of those drivers will be looking for a covered place of their own to wait out a hard rain – just like the place you are putting on your rain suit. While hard statistics on this subject are hard to come by, roadside shoulder accidents do happen. Carry a tyre repair kit and know how to use it! The majority of tubeless tyres punctures can be repaired in just a few minutes! There is no excuse for not carrying a repair kit, but even more importantly you should know how to use it. Practice at home on an old tyre so you are not trying to figure the process out on the side of the road! While tube-type tyres are more of a hassle, once your learn how to patch a tube, it can be done a lot faster than trying to arrange a tow. Further, you should periodically inspect your tyre repair kit to ensure the glue has not leaked out. If your kit has CO2 cartridges as its means of inflation, do you know how many cartridges it will take to inflate your tyre to a safe level? Find out before you hit the road! Tyre Shield is an excellent Tyre Puncture Prevention option; consider installing it before the trip. They may not work in some areas, but you may be surprised at the number of locations they do work. Thanks to our aggressive farm communities desire to ride the tractor and be able to call mom at the house, the cellular industry has cell sites in many places that would surprise you. A cell phone combined with towing insurance, can make what was once a trip ruining event a tolerable experience. Pushing a broken motorcycle a short distance up a hill to get it to a safe parking place on a cool night can generate a thirst that cannot be described. 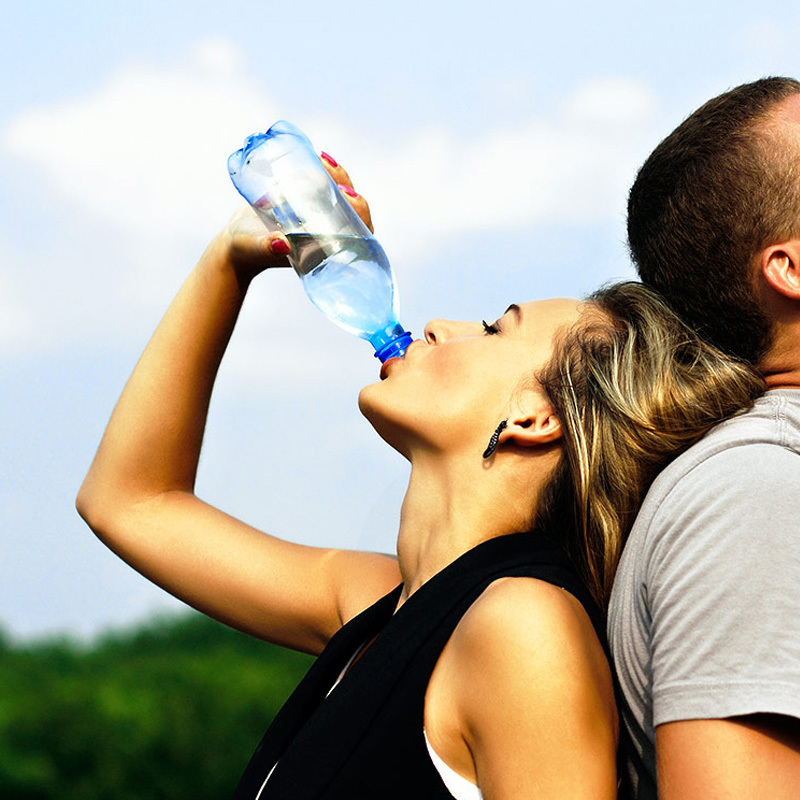 Your water supply should be kept in two sources. One should be used for casual drinking (i.e., whenever you are thirsty, you drink from that bottle) and the remainder should be packed away for true emergencies such as breakdowns. The theory here is straightforward. Once riders start carrying water, they will use it. Unfortunately, if you drink your emergency supply away, then you will not have it for an emergency. Do yourself a favour and pack the emergency supply in an area that is inconvenient to get to and save it for when you really need it. On a health note, although bottled water has a fairly long shelf life, to insure that tap water is safe to drink it should be changed every few days. Although it may seem extreme, we also recommend that during the long rides, you give up local tap water and use purified bottled water. Changes in the local make-up of the water supply can lead to upset stomach, diarrhoea and in some extreme cases require hospitalization. Carry medication for aches and pains. Note: While aspirin enjoys an almost cult-like following in the riding community (riders claim it alleviates a variety of pains and helps prevent muscle spasms), it is important to remember to consult your physician for side-effects related to its use. For example, aspirin can lower your body’s core temperature. So those riders choosing to use it for aches along the way should be aware they may be cooling themselves down as well. Additionally, aspirin acts as an anti-coagulant (something to worry about should you crash and suffer wounds that cause severe bleeding). Some brands of aspirin contain caffeine (it is sometimes added to help the aspirin take effect more quickly). A quick review of active ingredients on the packaging will let you know if caffeine is part of the formula. Pack a variety of vitamins. We have to defer this exact advice to a doctor, but in general a minimum recommendation is to take a one-a-day vitamin. Seek the advice of your doctor as to what vitamins are best for the type of conditions you are riding through (hot summer-time conditions has different requirements than winter riding). For long distance riding, look for vitamins that will prevent muscle cramps. If you own a computer, consider using Google Maps. I’ve used Google Maps for almost every trip; planning stops, stay-overs etc., you can even print out the route or send it to your phone for easy reference. Try it next time! The stock toolkit in most motorcycles is at best insufficient. Use the tool kit as a guide and purchase quality replacement tools and know how to use them. When riding back roads, be extra cautious when crossing province lines! In many states, road maintenance is the responsibility of the province. That means every 80km or so you may be dealing with different road mixes and different engineers ideas of what is a good design. After crossing a province line, take notice of subtle signs of how the local road department operates. Has the road gone from tar to concrete? Are the turns well marked? Do they use decreasing radius turns? Are road repairs done with rubber sealer (the kind that flexes slightly when hot, which can cause some riders to panic if they are not used to a motorcycle moving around underneath them when leaned over), gravel or other hazardous methods? Is vegetation trimmed back from the side of the road? Do fences exist to keep animals on the side-lines? Find out how the locals do it before you get the surprise of your life! Never ride faster than you can stop! Imagine riding down the Highway in a heavy fog at 120km/h when all of a sudden you come across a stopped car in the fast lane. Can you stop before you hit the car? You may think this is a ridiculous question, but it has happened. 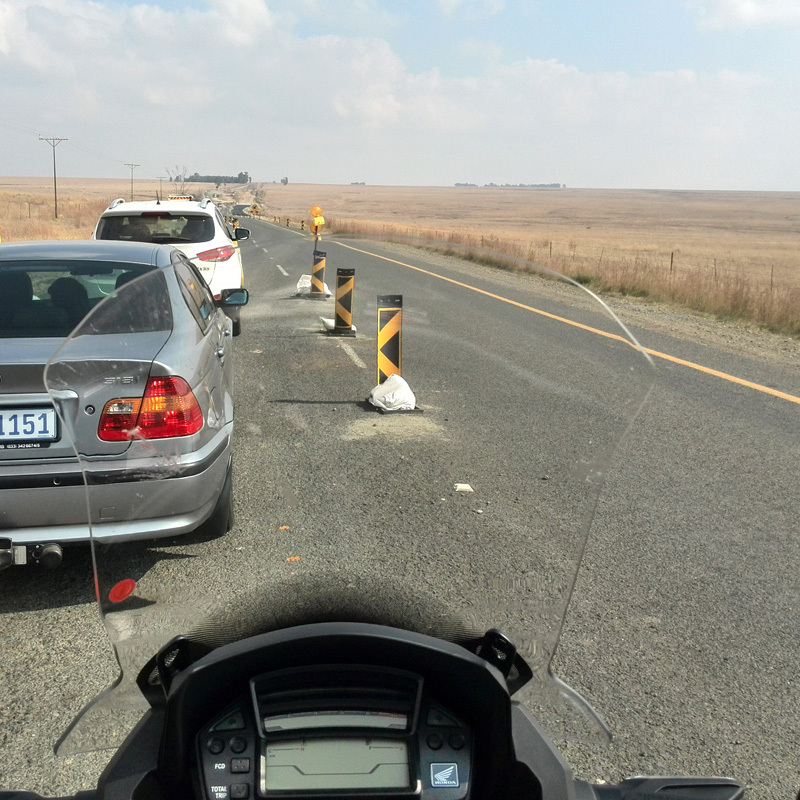 Don’t be the next rider killed by out-riding your visibility. This same tip applies to good weather as well. Is making 30km/h more around a corner you can’t see through worth spending six months in a hospital? Think about it like that and you may live to ride another day. Always remember the Absolute Number 1 priority when participating in a long-distance ride or endurance rally: cross the Finish Line alive. Everything else is just ice-cream on the waffle! Do you want to live? Stay away from trucks! Truck drivers hate having anyone follow them. When you are behind a truck, you become a liability. Instead of paying attention to the road, a trucker will start worrying about the people on their tailgate. 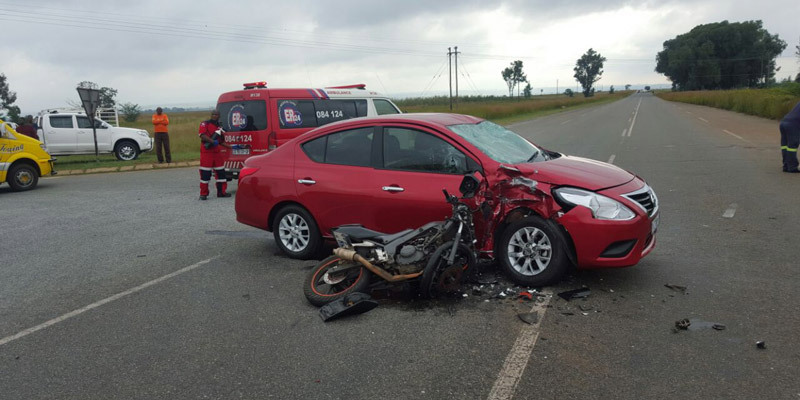 From a biker’s standpoint, it is not uncommon for a truck tyre to explode and trucks don’t have rear-view mirrors. Eliminate all distractions and potential irritants before the ride, no matter how minor they may seem. The cost in stamina and energy used in fighting off the effects of irritants while tired can be enormous. Even minor aggravations are magnified during a long-distance ride, robbing you of precious energy in the form of stress. Key to your ability to fight off irritants is a well prepared bike that is set up properly with resulting excellent ergonomic for the rider. All this said and done, go and ride!